Grainger County in northeastern Tennessee has been known for at least a century for it's flavorful, "fresh-from-the-garden" tasting tomatoes. Most attribute the great taste of Grainger County tomatoes to the decomposition of limestone in the soil and the selection of special garden-type varieties that are allowed to ripen on the vine. The Grainger County growing season begins in early April with greenhouse tomatoes and extends to late October/early November depending on the weather. 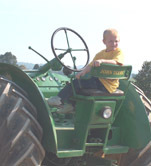 The Ritter Family has been involved in farming, especially growing tomatoes ince the early 1970's. 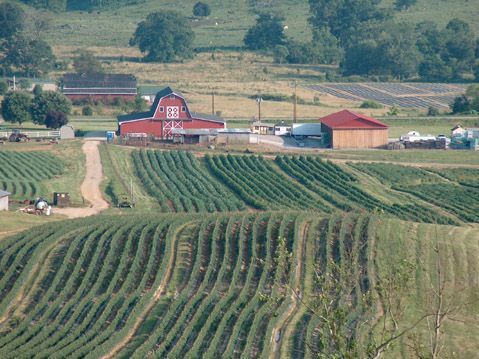 Ritter Farms is a second generation family farm owned and operated by Stanley and Tonya Ritter. 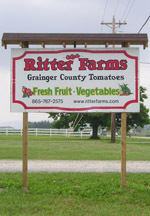 In addition to those great-tasting Grainger County tomatoes, the Ritters grow a variety of garden vegetables which can be purchased as they're brought out of the field at the Big Red Barn on Hwy 11W between Bean Station and Rutledge, Tennessee. 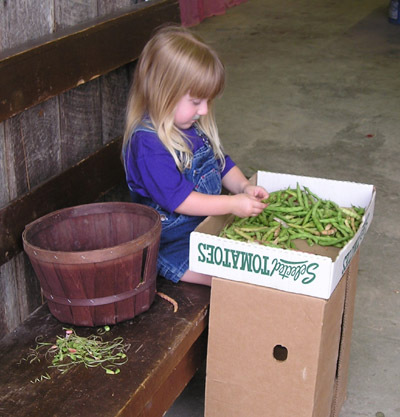 To read more about Ritter Farms click here.